Way to go Sony your system is still a year or 2 out and I alreadly don't want one. So.... which side are we going to be on this time? I just want to know so I can start spooling up the rage engine. I actually dont care. I have them all. But I mostly play on Xbox due to all of my friends are on there. 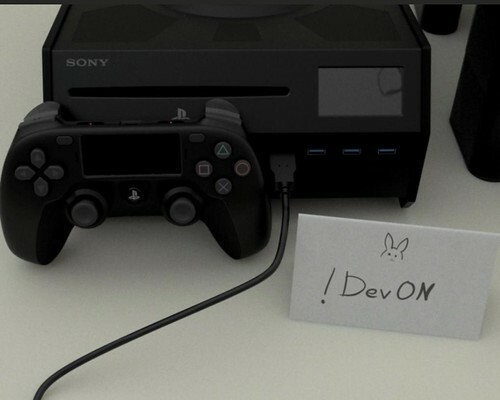 It looks like there would be a similar displace on the PS5 dev kit (assuming, of course, this is actually legitimate). I wouldn't be surprised to see some sort of screen on the controller; it's almost taking the PS4's mostly unused touch pad a step further. Current consoles do seem to be getting long in the tooth. I have no idea how old the current gen is, and I'd rather type this post than bother to search for the info, but it seems we would be a couple of years away from a new round...maybe Christmas 2021? I heard the shots above are fake. And that the new generation is supposed to come 2020. There was this news about Google's new streaming service Stadia, and while I understand that the latency and stuff doesn't make it a real competitor to any regular platform, what we haven't sufficiently addressed here is the many new and unique features it offers, that no regular platform can. Let's say not every type of game is affected the same by latency and streaming quality, and entire new genres of games might be possible with the unique features they offer. It's really not so much about playing the normal games via stream that makes it exciting. I mean seriously, a lot of those features are quite interesting. From the upcoming consoles I expect nothing new but more power. It's hard to say how things will pan out in near term, but I wouldn't be surprised if Google's streaming stuff ends up more popular than anything else. I don't mean that real power gamers will play their prime games on this platform given the choice, but overall more people could end up playing whatever via stream, similar to how the mobile market is the biggest gaming market. They are making it just so damn convenient and the features so interesting. No other streaming service previously compares to that anywhere near, it was all just downsides with nothing new to the table. So I am definitely curious, more curious than even about the new consoles. From the upcoming consoles I expect nothing new but more power. It's been a long time since Xbox has been a serious contender for the gaming crown, but all indications are that we are about to witness a sea-change of sorts. Steam has become complacent, to the point where the Epic Store is starting to take a bite out of their dominance of the industry... with streaming technology and 4G poised to fundamentally change the industry, Microsoft, Google and Sony are about to begin the race for who can become the "Netflicks of games". 2020 is going to be a watershed year for our industry, and boy oh boy, a change is gonna come. I'm not sure what to make of all of this yet myself. The multi-user features giving "free multi player" so to speak is one of those things that caught my interest first. But also the runtime memory transfer to share a game state across instances. Delicious. I mean damn, if this would be freely and easily available, and especially without any further technical work on the program, since the program wouldn't have to necessarily be aware of being streamed... that would open up a whole damn lot of possibilities for private devs. I would no longer have to beg the trust of others for running unsigned code on their machines, and I also would have perfect control on the hardware resources it runs on in the cloud. The same side as always, the side with all the best exclusives. Which will continue to be the PlayStation for a long time. MS isn't going to get far buying up shovelware studios. I'd love a game map on the controller. Nintendo screwed up because they only allowed one per system. 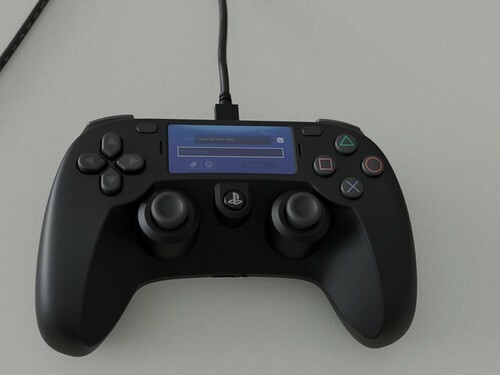 All of the sudden, because Sony made it "cool", everyone will want a screen on a controller, even though a console did that years ago! Hahhhhh! "Yah, well Nintendo only let you have one per console!" It's not cool, stop lying to yourself. I wonder if Sony can finally achieve 60 FPS steady or more on games on the PS5 whenever that releases. I'm a PC gamer first and foremost, I caved and bought a PS4 pro last July. The exclusives have been fun. Just not a fan of going from a higher frame rate to a bone jarring 30 fps rate on some games. Last of us remastered ran at almost 60 FPS which was awesome. Hope the PS5 horsepower can do something to that extent. The final version will be bigger and nicer looking. Yeah man, lets get two screen gaming going again, i miss it. Yeah let's make controllers cost 100 bucks for a gimmick no devs will use and if they do use it they won't do it well. Great idea! I just bought a pro finally, tho ive only had a ps4 for a 2 years, im usually late to the next console generation due to $$ and a million current gen games i did not get around to. Zero intention of buying an xbone. The shape of the controller is poop. BUT SUPER EXCITED for the integrated screen!